The software from Red-Bag is developed by engineers and software specialists. The engineers have worked for many years with Engineering Contractors and End-users of process plants. The software specialists have ample experience in software development and technology. Our software products are state-of-the-art software tools with a clear and to the point user interface. The software input and output format is the way an engineer expects it to be. 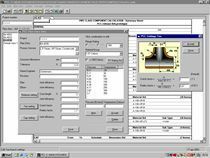 The PCC software is used to calculate pipe class components for internal and external pressure. 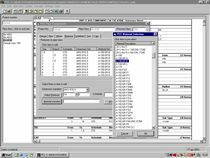 PCC calculates components and complete pipe classes with the click of one button. The PCC calculations can be selected by the engineer from ASME B31.3 (USA), EN13480 (Europe), and RToD (Netherlands). The calculation results can be shown in a summary sheet. Colors indicate the amount of design margin used. Reports and calculation details provide the engineer all information as is depicted in the design code. 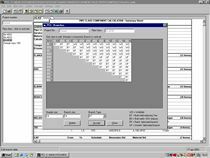 All overviews, reports and calculation details can be printed or exported to MS Office tools for further processing. Also import and export to XML format is available for interfacing with other software applications. Prime goal for the development of PCC was the ease of use. Pipe classes consist of many components such as pipe, elbow, reducer, cap, tee and weldolet. The amount of components and the branches are handled in an efficient and structured manner. The presentation of the data has the looks of a pipe class specification. For more information see detail PCC page on the menu at the right.